Since earlier this year, if you’re caught using your mobile while driving, you’ll now face much tougher penalties than before, and it’ll mean it costs you a lot more than the £200 fine. That’s because on top of upping the monetary punishment, you will also receive six endorsement points on your licence, where previously you would only have been given three. So how much will that cost younger motorists who’ve learned to drive during the era of the smartphone? 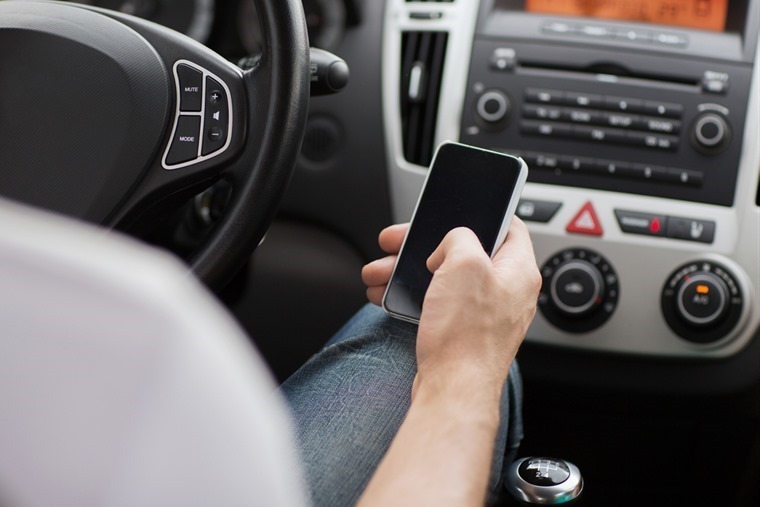 For a start, if you have been driving for less than two years, a CU80 (the offence code for using your phone behind the wheel) on your license will see it revoked for at least 12 months. For younger people, like me, (I’m 23), who have high insurance bills at it is, these extra points will push these costs even higher. But by how much? To find out, we took a look at some quotes* on some typical cars to see just what difference this new endorsement has. On average then, the changes will add between £200 and £300 to your premium if you had no convictions previously. That’s also a marked increase over the amount you’d have handed over pre-March, where you would have had to declare just three penalty points. 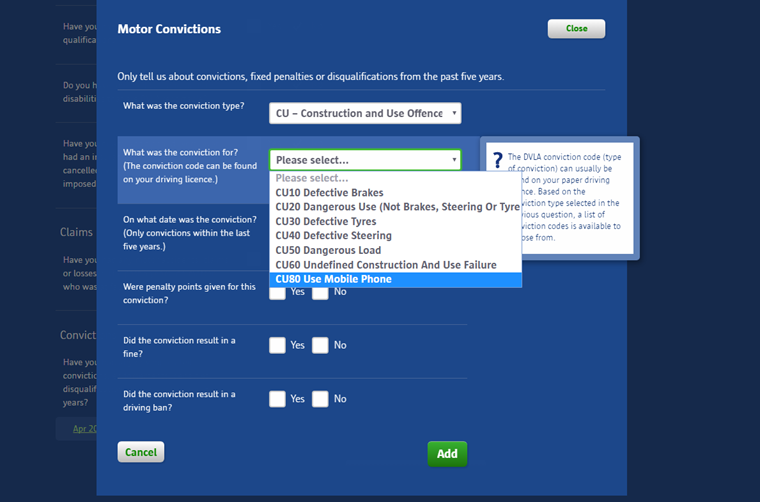 In the UK, CU80s are one of the most common types of driving offences. A nationwide crackdown saw 7,966 drivers caught using their phone behind the wheel in a single week in January. This was aimed at raising awareness of the harsher law before it became compulsory. But in Greater Manchester, 151 motorists were caught out by the changes in March alone. And if you think you won’t get caught, you might still want to resist the temptation. The law states that you’ll be punished whether you are making a call, using a loudspeaker, texting, filming, taking a picture or using the internet. This applies if you’re sat in a stationary traffic jam, and even in a drive-thru. If you don’t apply the handbrake and switch your engine off before using your phone, it’s an offence. 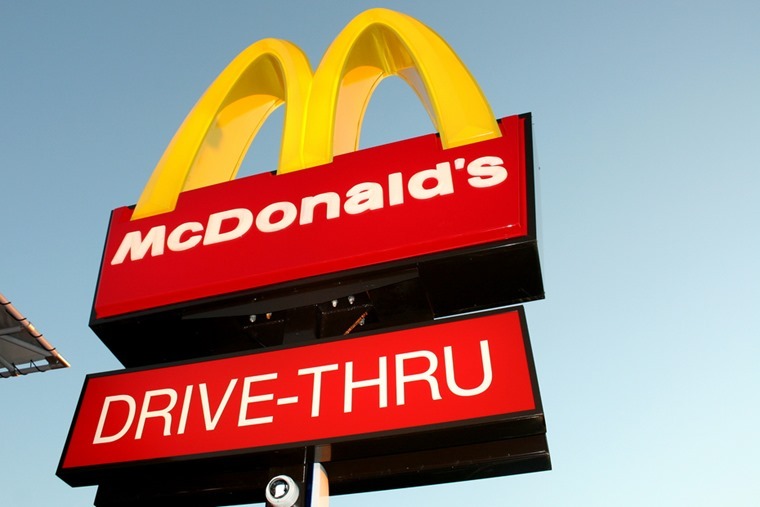 So, you could lose your license simply for using Apple Pay to buy a Big Mac at a drive-thru window. 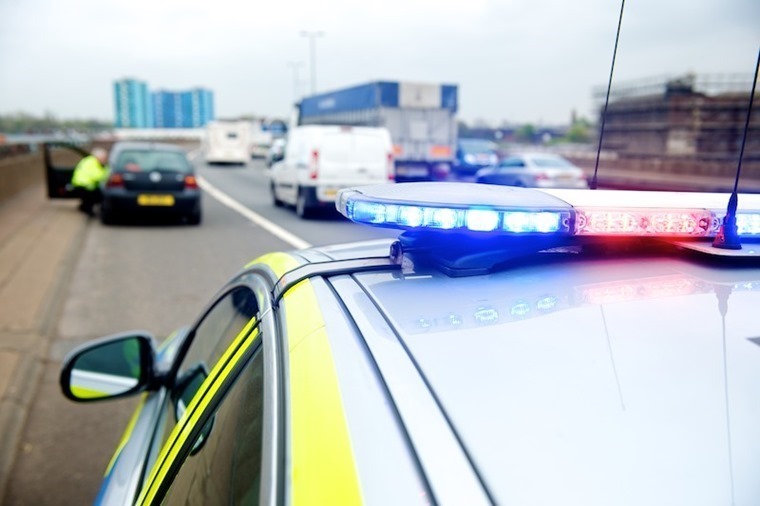 This tough crackdown might seem harsh, but it’s the best way of deterring mobile phone use behind the wheel – something that’s now purportedly one of the biggest causes of serious accidents on UK roads. *quotes are correct at the time of writing, and are based on a male 23-year-old administration assistant, living in Market Drayton with six penalty points (CU80) having held licence for seven years including five year’s NCB, average 10,000 miles per year – expect prices to vary.